Fellowship Previews: Legendary PREACHER Writer Garth Ennis​ Penning Brand-New JOHNNY RED series! 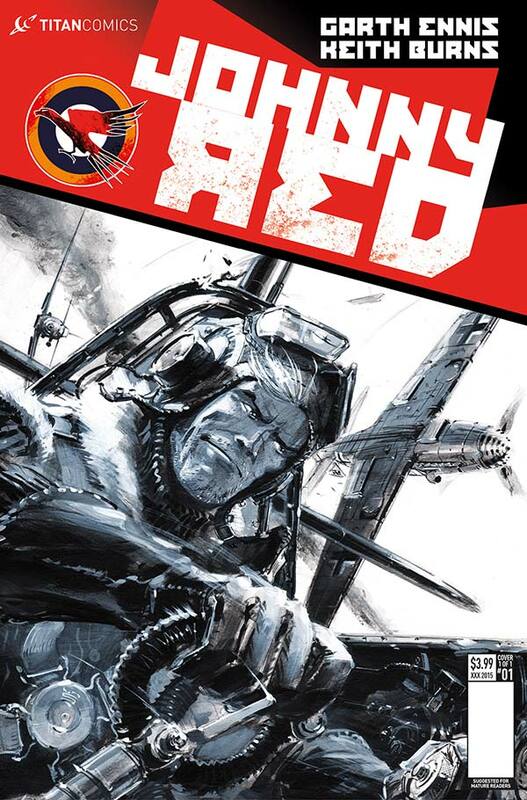 Legendary PREACHER Writer Garth Ennis​ Penning Brand-New JOHNNY RED series! Titan Comics ​is​ thrilled to announce a brand-new Johnny Red series written by Garth Ennis (Preacher) with art by Keith Burns! ​Hitting stores November 4, t​he explosive new series features original adventures of the fighter ace who thrilled millions and rocketed to status as a classic British comic character in the pages of legendary combat comic Battle, bringing World War II to incendiary life in the finest air warfare stories ever told! Ennis and artist Keith Burns are diving right back into the thick of the period action to present the character to a contemporary audience! "Johnny Red achieves a level of historical detail that I still find remarkable today," said Ennis. "Johnny's story is not just one of my favorites but a British comics classic!" Johnny Red #1 ​will be available in stores and ​on ​digital devices from November 4.